(Photo: © Peter Kenny / Ecumenical News)World Council of Churches associate general secretary general Isabel Apawo Phiri in Jerusalem in February 2016 for a WCC meeting. She was deported from Israel after arriving at Tel Aviv airport for arriving for another WCC meeting Dec. 5, 2016. The World Council of Churches has rejected as "false," accusations made by Israel after "an unprecedented move" against its leaders resulted in the interrogation and deportation by Israel of its associate general secretary Isabel Apawo Phiri. The WCC said in a Dec. 6 statement that Israeli authorities detained, interrogated and deported Dr. Phiri, a national of Malawi and former South African university professor upon arrival in Tel Aviv the preceding day. The WCC "deeply regrets the Israeli antagonism against the WCC's initiatives for peace with justice for both Palestinians and Israelis," said the council's general secretary Rev. Olav Fykse Tveit. Phiri, a theologian, was travelling to attend consultations with church leaders in Jerusalem on the Ecumenical Accompaniment Program in Palestine and Israel, one of the many programs supported by the WCC globally. The WCC said reason given for Phiri's deportation was "Prevention of illegal immigration considerations." 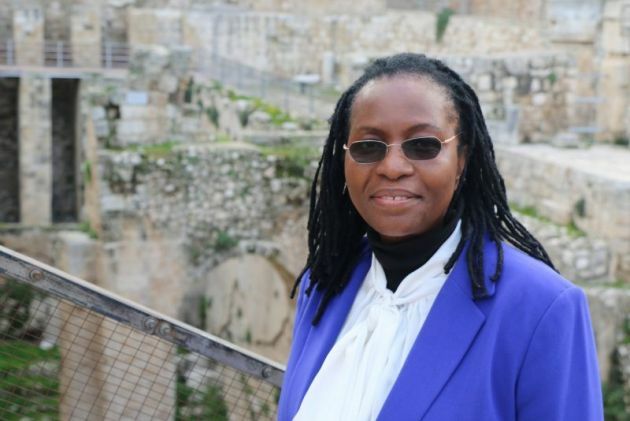 She was the only African member of a WCC staff delegation currently visiting Jerusalem. All four other members were allowed entry. The WCC has instructed its legal representatives to lodge an appeal against this patently unjust and discriminatory action against Phiri immediately. "The accusations made against the WCC and the EAPPI program in the interrogation of Dr. Phiri and published in the media today are completely false" said Tveit. "I am very surprised and dismayed that the Israeli Ministry of Interior is apparently basing its decisions on incorrect and unreliable sources." This is not the first time an African working for the WCC has been apprehended, interrogated and deported after arriving in Israel to take part in consultations. In May a South African ecologist and a Swiss colleague were also deported after being accused of coming to work on the EAPPI program which involves accompanying Palestinians and Israeli, often at army checkpoints and offering them solidarity with their presence. They were tying to enter Israel for a WCC meeting on another program.